Our story begins with the clumsy Graham, who ventures with a lot of energy into a hidden cave to find a haunted mirror. On his way he encounters some puzzles while the narrator makes funny comments. King’s Quest is a multi-part story from the House of Sierra and The Odd Gentlemen, which consists of a mixture of an adventure game with a variety of point and click elements. During the course of the game, the story is told according to our actions, while we have various solutions available, which we can choose either wisely or unwise. Every decision affects the later gameplay. The graphics of the adventure game are not bad, but not outstanding. Thanks to the comic look, it has nevertheless succeeded quite well. In some places drawn graphics are admired, on others, only muddy standard textures from a quick kit. Throughout the game, however, one can overlook the mix if one can indulge in the adventure. Very positive to note is the English language version of the game. Each voice suits each character and works with the soundtrack, which is adapted to the situation in the background. The game is controlled via keyboard and mouse or if available with gamepad. I played the game with keyboard and mouse. This was wonderful to play because the controls made an optimized impression. 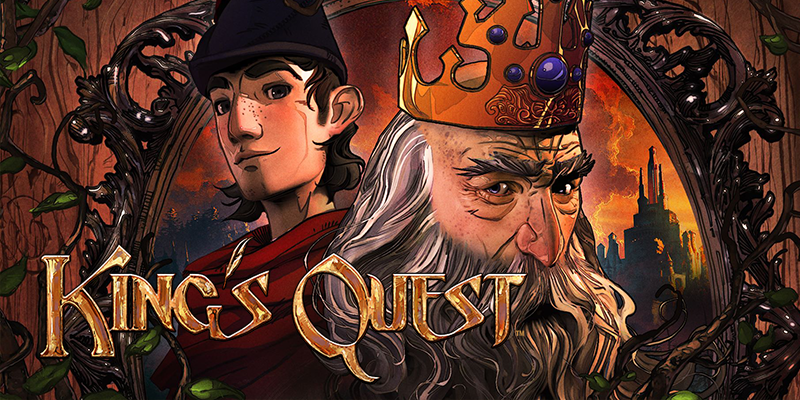 Overall, with King’s Quest you get an exciting and ludicrous adventure game, which does not need to hide. I can fully recommend the game and find that this gem may not be missing in any game library.